Ants have colonized almost every landmass on earth. The only places that do not have ants are Antarctica and a few remote islands (Greenland, Iceland, and parts of Polynesia and the Hawaiian islands). Ants thrive in almost any ecosystem and may make up 15-25% of the terrestrial animal biomass. 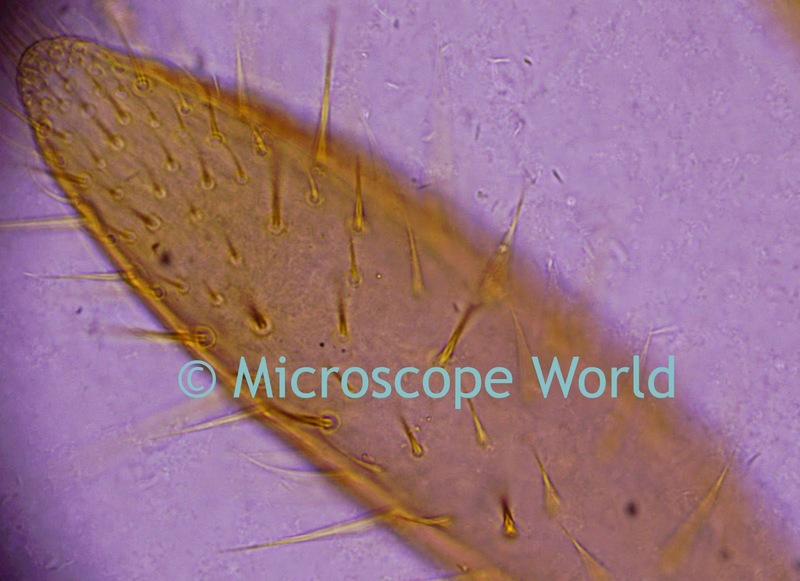 Ant captured under a digital student microscope at 100x. The ant's success in so many environments has been attributed to their social organization and their ability to modify habitats, make use of available resources and defend themselves. Because ants have been able to solve complex problems, they are often compared to human societies and have been studied extensively. 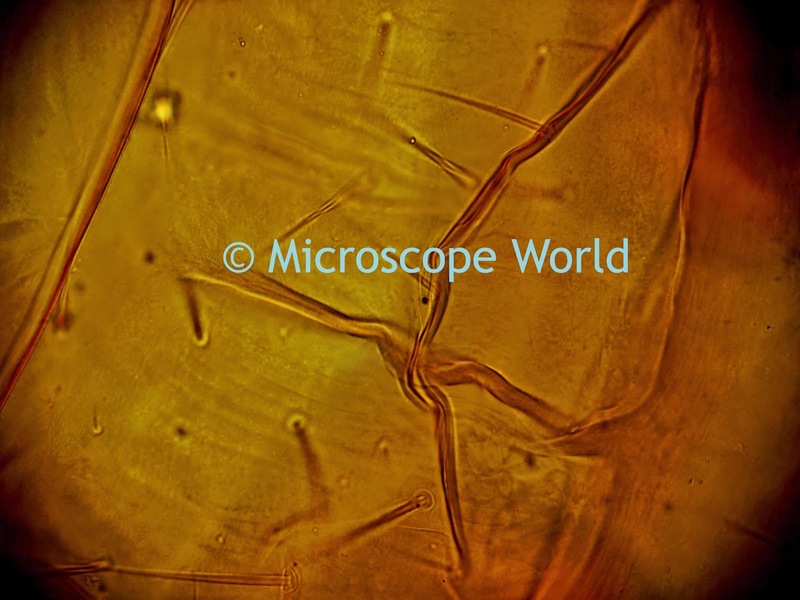 And captured at 400x under a biological microscope. Ants communicate with each other using pheromones, sounds and touch. Similar to other insects, ants perceive smells with their long, thin, and mobile antennae. The paired antennae provide information about the direction and intensity of scents. Ant under microscope at 400x. 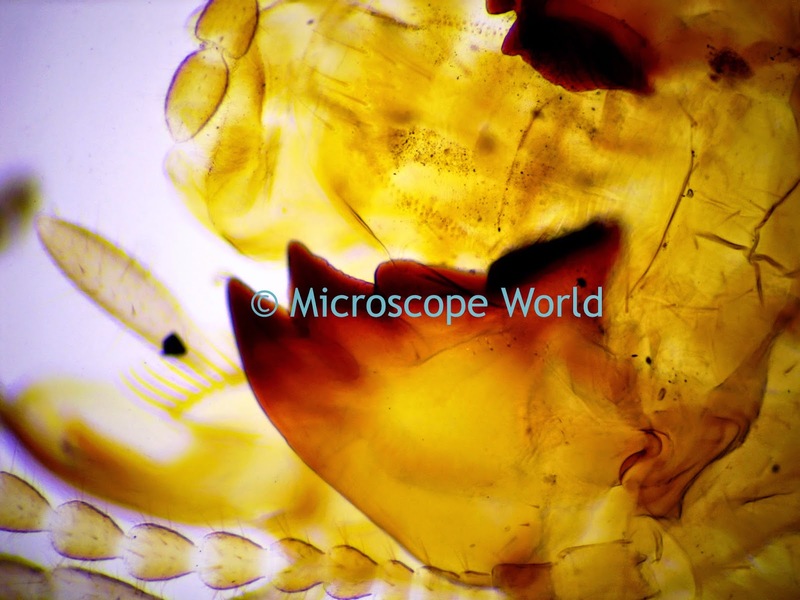 The ant prepared slide is included in the Zoology, Entomology and Insect prepared slide kit.